Whales, dolphins and porpoises are collectively known as 'cetaceans.' Cetaceans are marine mammals that include some of the largest living animals on Earth. 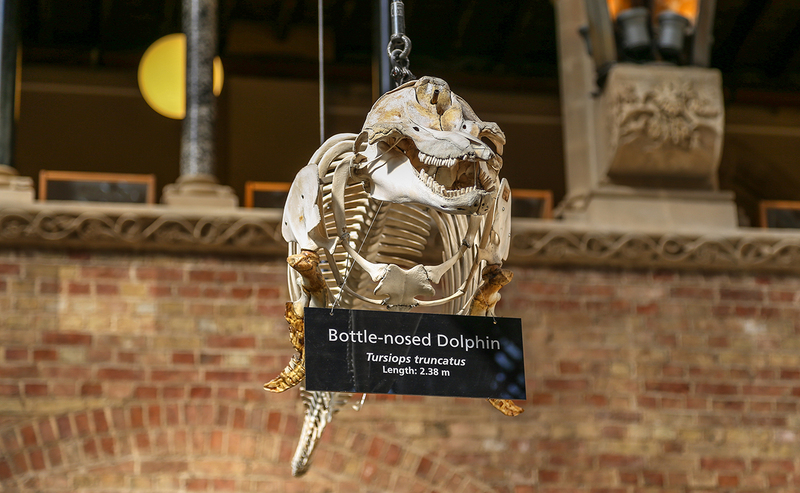 The five specimens on display are a northern bottlenose whale (Hyperoodon ampullatus), a common minke whale (Balaenoptera acutorostrata), a killer whale (Orcinus orca), a beluga whale (Delphinapterus leucas) and a common bottlenose dolphin (Tursiops truncatus). They were collected in the 19th century, although even then it was unusual to obtain a whole animal for study. 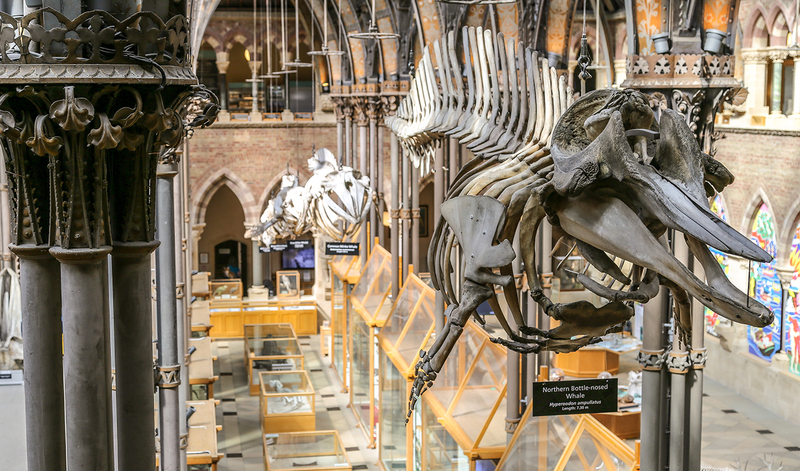 Thanks to their rarity and the difficulty in collecting them, the specimens were highly prized by museums and comparative anatomy researchers at the time. 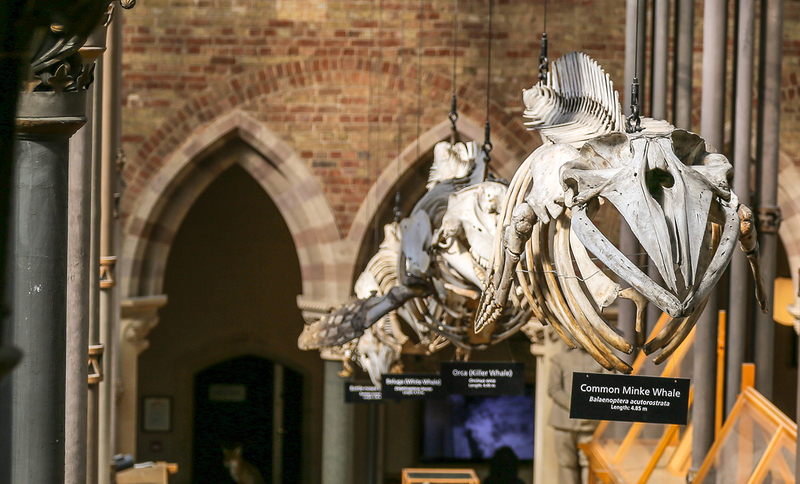 Along with the suspended skeletons, the Museum also displays the skull of a humpback whale (Megaptera novaeangliae) and the huge lower jaw of a sperm whale (Physeter macrocephalus). This jaw belonged to an animal '88-foot long', which far exceeds the known maximum size of the species today, suggesting that sperm whales may have been significantly larger in the pre-whaling period. 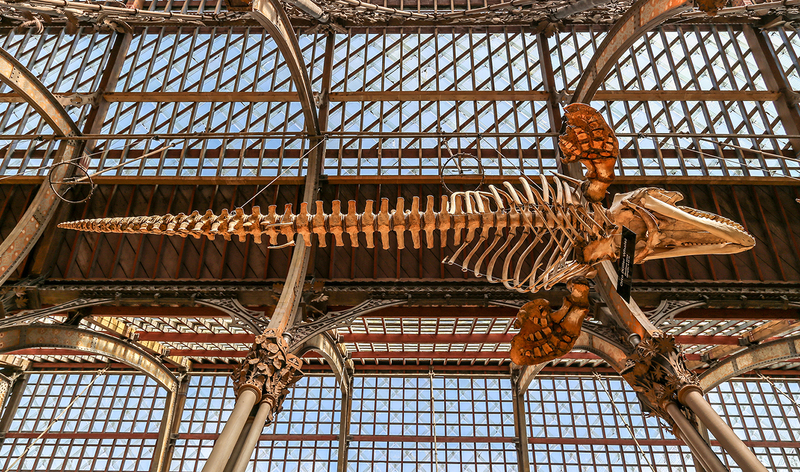 During our 2013 year of closure, five large whale skeletons received extensive conservation treatment, including the Layard’s beaked whale (Mesoplodon layardi). 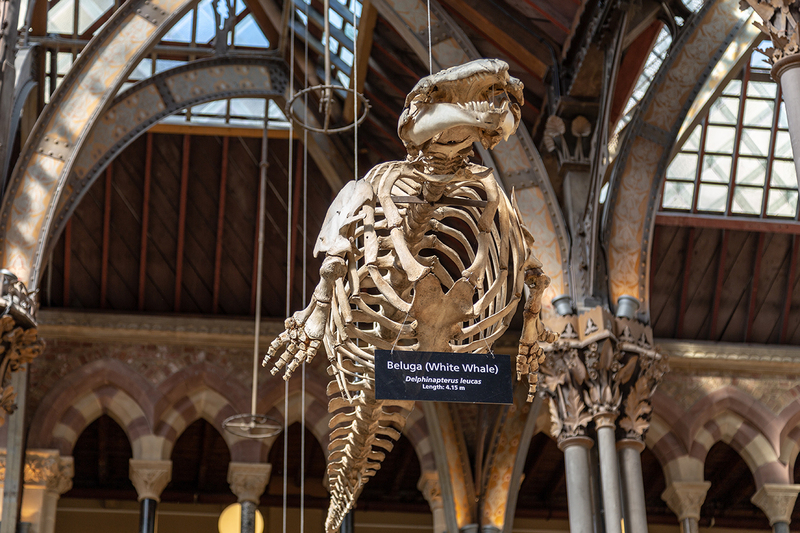 Some of the earliest ‘whaleologists’ made a trip to Oxford to see the specimens suspended from the roof at the Museum, in a race to formally describe new species or new aspects of whale biology.